Another edition of the Phantasmagorical Audio Diary along with a giant 3D Charles Darwin! Today (09.09.09) marking five years since some of the Bradford Players began the first audio game campaign over at RPGMP3 (The World's Largest Dungeon), I've dug up the only video recording ever made (from the very first session). Patrons can view it now. Another anniversary, today marks four years of Yog Radio. I recently discovered my original Show Notes for Yog Radio #1 (scribbles and all). Patrons can now see how the podcast started out back in 2005. Following on from Yog Radio #38, Patrons can watch the post-interview videochat with Tom Lynch and Oscar Rios of Miskatonic River Press. Find out what's in the works from MRP that's not yet publicly mentioned, plus a lot more. For Patrons who enjoyed Pookie & DaveL's review of Cold City in Yog Radio #38, there's now an 'Actual Play' recording of the game, as run by DaveL and featuring Pookie, Fin, Lordof1 and MadGav. Something a little different. An interview with Chris Youngs (head of D&D Insider at Wizards of the Coast). Recorded at Fanboy 3 in Manchester on World Wide (D&D) Games Day, 2009. Yoggie Patrons can now also download additional bonus tracks for the well received Tatters of the King Original Soundtrack by Allicorn. 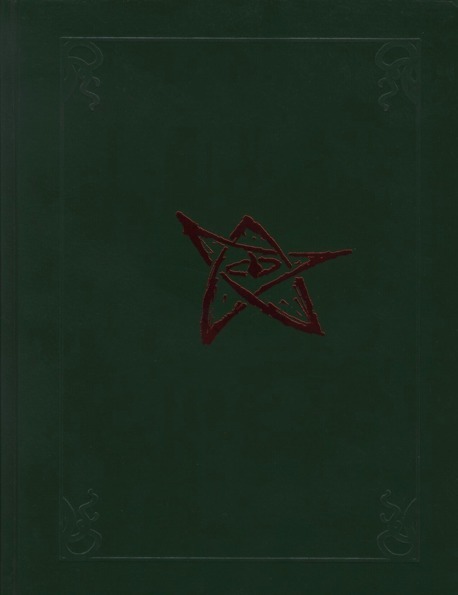 Patrons can now see the cover for the forthcoming Masks of Nyarlathotep Companion monograph. Artwork by Eric M. Smith. Now available, a post-interview chat with Simon Barnard of Cosmic Hobo (producers of The Scarifyers). Recorded during the making of Yog Radio #40. Simon talks further about The Scarifyers, how he writes and his own audio documentary making experience. For those who remember a certain Violet Davenport, Magician's Assistant from Horror on the Orient Express, there is now an updated, illustrated and topped & tailed edition available to Patrons. A few copies of this updated journal saw very limited print in 2009. Now available for download, a post-interview chat with Derrick Hussey of Hippocampus Press (following on from the interview in Yog Radio #41). We've shipped in some of the glow-in-the-dark Cthulhu Dice (both kinds) from Steve Jackson Games. A limited quantity are now available to Yoggie Patrons over at Innsmouth House. YSDC Patrons can have an early look at the latest 2nd hand Call of Cthulhu materials we have in over at Innsmouth House. They will be on general sale in mid-August. The following may be of interest? While at Continuum 2010 last month I recorded a series of seminars and Patrons can listen to them now in advance of their public release next week. Angus Abranson discussing all things Cubicle 7 Entertainment Ltd.
Alan Bligh, John French & Mike Mason (writers for WH40K, Dark Heresy, Rogue Trader, Call of Cthulhu and more) answer questions about their work and offer advice about how to make your mark as a writer in the gaming industry. 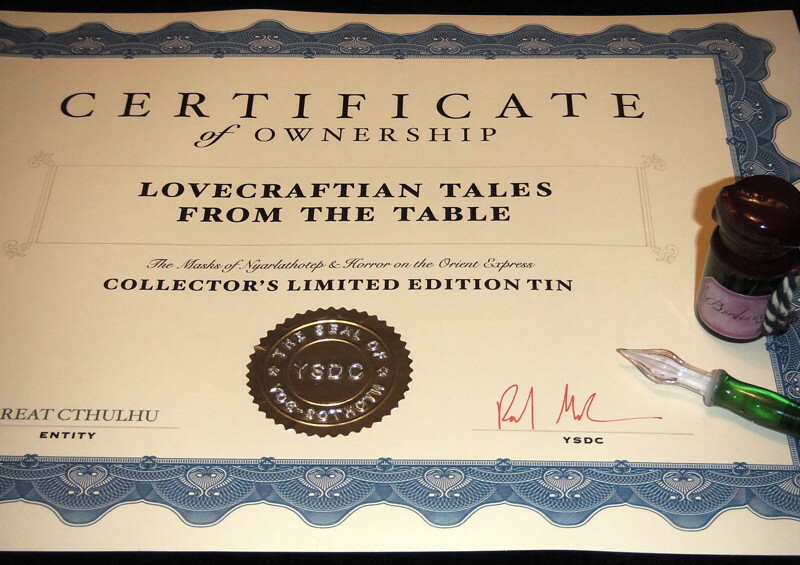 Lovecraftian Tales from the Table DVD in a steel "tin". Three "Cult of the Bloody Tongue" temporary tattoos. Copy of Violet's Diary (updated & illustrated). Copy of Secrets of The Lovecraftian Tales from the Table (full colour, illustrated). Two souvenir colour stereocards in antique 7"x3.5" format. 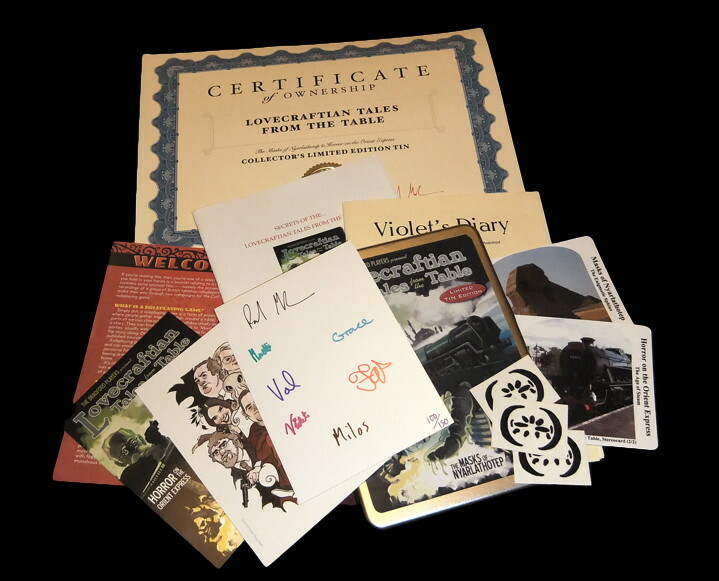 Ownership certificate signed with a glass pen, bearing the "Seal of Yog-Sothoth" and containing the name of a unique mythos entity on each certificate. Collated in a Mylar archival pocket with backing board. 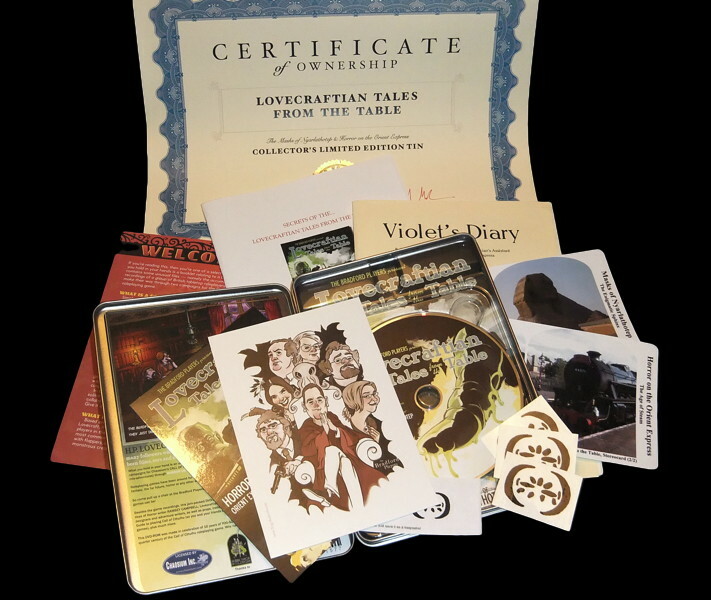 The Secrets of The Lovecraftian Tales from the Table booklet details the history of how the DVD came into being along with a detailed list of every "Easter Egg" (extra hidden files) on the DVD. In addition there are 10 promo cards signed by the Bradford Players (by name or character), which will be randomly substituted for the normal "Players" card among the 40 copies. As usual, click on the images to see larger versions! 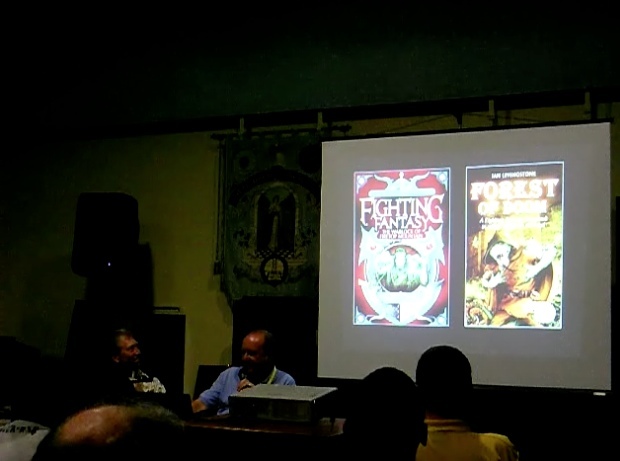 If you're a Yoggie Patron, you can now watch the video version (with with the illustrations) of An Illustrated History of Games Workshop and Fighting Fantasy by Steve Jackson & Ian Livingstone. 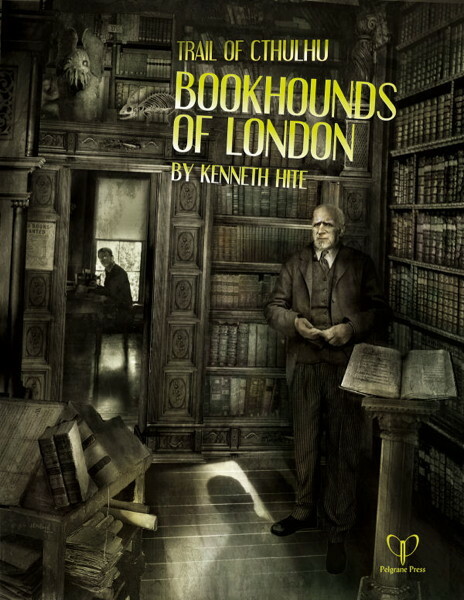 YSDC Patrons have first bite at a couple of extra copies of Bookhounds of London I picked up at Dragonmeet. This advance, limited, signed & numbered edition sold out quickly at the convention. Of the 52 copies produced, numbers 12 & 16 are available. Signed by the author, Kenneth Hite these two copies come with an additional dedication by Ken. Patrons can listen to a game recording of Cold City ("Lost Causes"), as played at UK Games Expo, 2010. "March into Madness" is our month-long Patron Drive here on YSDC. We also have a "New Patron Raffle" running. If you've ever considered becoming a Patron of "Olde Yoggie", now's a great time! 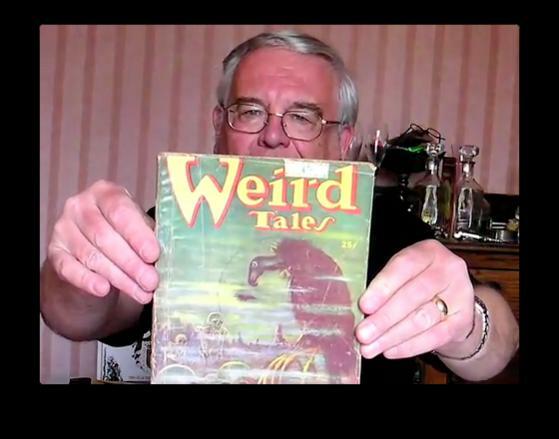 Now available for Patrons is the full video version of our Ramsey Campbell interview that we recorded at Ramsey's home. As an extra boon, Yog Radio #47 is now on early release for Yoggie Patrons and will be out generally next week. 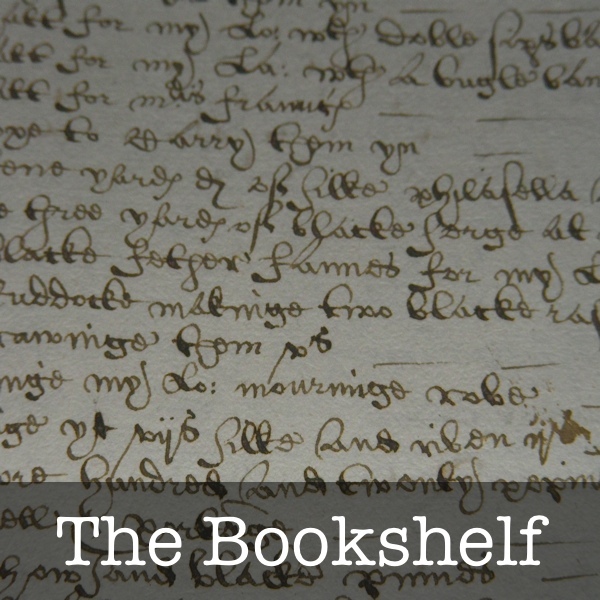 Patrons can now access a complete archive of Karloff's The Bookshelf from Yog Radio, with the ever entertaining discussion on more than 20 select titles along with yet-to-be-released segments due in future shows. A great way to catch up on ones you missed (or couldn't quite remember)! To mark 13 years of YSDC we have a new Patron Raffle. Up on the raffle shelf this time is a copy of the leatherbound Call of Cthulhu 20th Anniversary edition rulebook! With a Smythe sewn binding and integral silk bookmark, the 20th Anniversary edition is one of the finest editions of the Call of Cthulhu rules produced to date and can standup to years of use at the games table. As they say "you have to be in it, to win it", so if you're not already a Yoggie Patron, now is a great time to become one! More releases from future episodes of Karloff's The Bookshelf are now available to Patrons (along with cover illustrations and Amazon links).